Thank you for choosing Bakker Corporate and Employment Law Attorneys. Bakker Attorneys is a legal practice that specializes in corporate and employment law. The practice is based in Port Elizabeth, South Africa and has a diverse client base in the building and steel construction industry, motor component manufacturers, sport, universities, agriculture, transport and the petroleum industry. Bakker Attorneys has a specific interest in South African and Dutch business and will position itself accordingly. The practising attorney is Johnny Bakker, B.Com (UPE), B.Proc (Unisa), LLM (NMMU) (Labour Law) with 3 years employment experience at Firestone SA and 17 years at General Motors SA. Apart from legal practice , Johnny is also involved in the management of surfing in South Africa and an active participant in the sport itself. The vision of the practice, is to become more involved in the provision of legal services to South African and Dutch firms who conduct business in both countries. This service will include a legal representative in the Netherlands. The main focus of the practice is corporate and employment law. Each client is treated individually. The service provided is adapted according to each client’s individual industrial relations, human resource and business circumstances. The objective is to provide simple and user friendly service and product. Het richt zich voornamelijk op vennootschapsrecht en werkrecht. Elke client wordt individueel behandeld. De gegeven service wordt aangepast aan de client' s individuele arbeidsverhoudingen, menselijke hulpbronnen en arbeidsomstandigheden. Het doel is om te voorzien in eenvoudige en gebruiksvriendelijke service en producten. Bakker Attorneys recognises the different challenges and unique business circumstances of client. Using the latest technology and resources, our practice can instantly access the latest forms and cases, as well as connect with industry experts, allowing us to provide you with fast, reliable service. 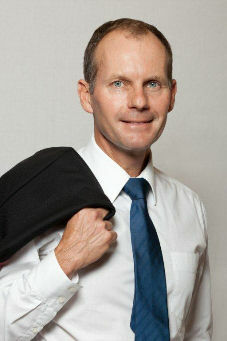 Bakker Attorneys © 2012. All Rights Reserved.